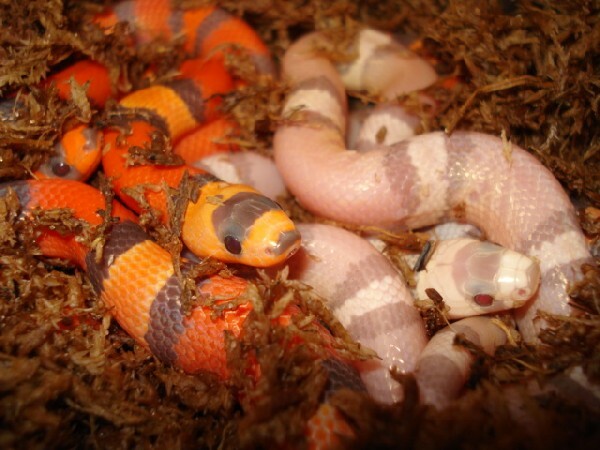 Members of the genus Lampropeltis these popular and colorful kingsnake subspecies are found in the new world as far north as Canada and as far south as Venezuela. Found in a variety of habitats milk snakes have been captive bred commercially since the 1980s and come in a variety of sizes and colors, both natural and man made. Here you may post messages or questions pertaining to all aspects and issues regarding the keeping, breeding, health, and conservation of all Milk Snakes.